Many teachers will be using supplemental phonics and word-recognition materials to enhance reading instruction for their students. In this article, the authors provide guidelines for determining the accessibility of these phonics and word recognition programs. This article examines the content and instructional plans of phonics and word recognition to be used with children with reading disabilities. Information is provided about the content of effective word-recognition instruction. Guidelines are included based on this information as well as on 4 other aspects of reading instruction (i.e., oral language development, print awareness, reading aloud, and independent wide reading) that are central to any accessible and effective classroom program. These guidelines will assist educators in selecting programs that enable all children to be successful in learning to read. The goals of reading instruction are many, but certainly include that children will read with confidence, that they will understand what they read, and that they will find reading a source of knowledge and pleasure. To achieve these goals with all children, an effective classroom program of beginning reading instruction must provide children with a wide variety of experiences that relate to a number of important aspects of reading. Some of these experiences focus on meaning. For example, children take part in oral language activities that concentrate on concept and vocabulary development; children hear good stories and informational texts read aloud; they read and discuss with other children what they read, often under the guidance of their teachers. Other experiences focus on word recognition of printed words as children engage in print awareness, letter recognition, writing, and spelling activities. 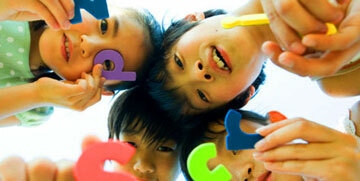 Children take part in phonics lessons and word-recognition strategy instruction. They learn that the sounds in spoken words relate to the patterns of letters in written words in predictable and often generalizable ways. As they read books and other print materials, children learn to combine their knowledge of print and sounds with their knowledge of language to read with meaning and enjoyment. It is evident that no one aspect of a beginning program should monopolize instructional time. Many publishers — both large and small — have developed programs of phonics and word-recognition instruction. 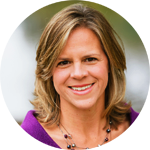 Some of the phonics and word-recognition instruction are integrated in large basal reading programs and others are in supplemental programs narrowly focused to address one aspect of instruction. Many teachers teach phonics and word recognition by using the district's commercially published basal reading program, typically a program of instruction that includes grade-level materials for teaching reading with a teacher's guide and student reading materials as well as ancillary materials that support the primary components. 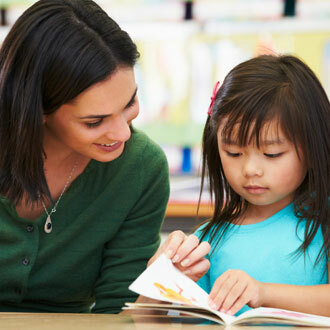 These programs often contain phonics and word-recognition activities embedded in a sequence of instruction that includes shared reading from children's literature, guided reading in predictable stories, and writing activities. These commercially published basal reading programs are particularly important because they are typically adopted by a school or district and become the cornerstone of instruction for most classrooms. Recent reviews of the major commercial programs (Smith et al., in press; Stein, Johnson, & Gutlohn, 1998) have revealed that word- recognition instruction and instruction in oral language skills related to word recognition were inadequately represented. Stein et al. found that few programs included an explicit phonics approach, and student reading selections often did not correspond to the words children were learning during word-recognition instruction making most of the selections inaccessible to the readers. In addition to the basal programs, teachers often supplement their regular instruction with published phonics programs. These programs are commonly used with students identified as having reading disabilities. Many parents seek out such programs to use at home if they are concerned that their children are experiencing difficulty learning to read in school. There are literally hundreds of supplementary programs on the market, and new programs appear regularly. These programs take many forms. Many appear in traditional print form that feature board and card games, flash cards, word lists, story books, and workbooks. Some combine traditional instructional materials with audiotapes, electronic games, videotapes, and computer discs. Still other programs provide essentially all instruction by computer. This article is designed to be used to examine the content and instructional plans of phonics and word-recognition instruction to be used with children with reading disabilities. The purpose of the article, however, is not to explore the many meanings, interpretations, and merits of phonics and word-recognition instruction. 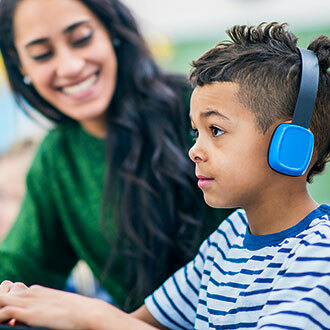 Rather, the purpose of the article is to help those who intend to use commercially published programs of instruction to make good choices that will benefit both teachers and students with reading disabilities. Such an examination can provide information about the content of a program's word-recognition instruction and its suitability for providing access to the general curriculum for students with reading disabilities. The goal of phonics is not that children be able to state the "rules" governing letter-sound relationships. Rather, the purpose is to get across the alphabetic principle, the principle that there are systematic relationships between letters and sounds. Phonics then is the system of instruction used to teach children the connection between letters and sounds (Snow et al., 1998). We do want to warn the reader, however, that this term is entirely abused and has many different meanings to different people. A generally agreed on definition may not be possible. An important part of helping children with reading disabilities figure out the system underlying the printed word is leading them to understand the alphabetic principle (Adams, 1990; Ehri & McCormick, 1998; Liberman, Shankweiler, & Liberman, 199 1). This means, to understand that in written English, words are composed of patterns of letters that represent the sounds of spoken English words. Some children seem to figure out the alphabetic principle almost effortlessly, with little or no instruction. However, most children, and children with learning disabilities (LD) in particular, benefit from organized instruction that centers on sounds, letters, and the relations between sounds and letters (Perfetti & Zhang, 1995). They also benefit from word -recognition instruction that offers practice with, for example, word families that share similar letter patterns. Additionally, children with reading disabilities benefit from opportunities to apply what they are learning to the reading and rereading of stories and other texts. Such texts contain a high proportion of words that reflect the letters, sounds, and spelling patterns the children are learning. To help children map the relations between letters and sounds, effective phonics and word-recognition strategy instruction should provide them with opportunities to become comfortable with a number of aspects of reading, including alphabetic knowledge, phonemic awareness, sound-symbol relations, word-identification strategies, spelling and writing connections, related reading practice, and reading fluency. Beginning to Read: Thinking and Learning About Print (Adams, 1990), several primary research studies, and secondary reviews of research that are noted in the guidelines. At this point, it is important to note that, although many of these guidelines are based on empirical research, others are based on a logical analysis of learning tasks and effective classroom practice. Children must become expert users of the letters they will see and use to write their own words and messages (Lyon, 1998). Children's knowledge of letters is a strong predictor of their success in learning to read (Adams, 1990). That is, children who begin first grade able to quickly and accurately identify, say, and write the letters of the alphabet have an advantage in learning to read. Children whose knowledge of letters is not well developed when they start school need a lot of sensibly organized practice that will help them learn how to identify, name, and write letters. A variety of alphabetic knowledge activities in which children learn to identify and name both upper case and lower case letters. Games, songs, and other activities that help children learn to name letters quickly. Writing activities that encourage children to practice writing the letters they are learning. A sensible sequence of letter introduction that can be adjusted to the needs of the children. Children's ability to think about individual words as sequences of sounds is important to their understanding of the alphabetic principle (Liberman & Shankweiler, 1985; Snow et al., 1998). Toward that understanding, children learn to identify rhyming words and to create their own rhymes. They also learn that sentences are made up of separate words, words are composed of syllables, and words are made up of sounds that can be separated from each other and manipulated in other ways. Finally, they learn that sounds that are separated (or segmented) from words can be put back together again to form words. Some children have a great deal of difficulty learning to separate, or segment, the sounds in spoken words, and to then reconstitute the sounds (i.e., to blend the segmented sounds back together to make a word; O'Connor, Notari-Syverson, & Vadasy, 1996). However, it is this very aspect of phonemic awareness that enables children to apply their knowledge of sound-letter relations to the sounding out of printed words (Smith, Simmons, & Karneenui, 1998). It is important to make some clear distinctions: Phonemes are the separable individual sounds in words. They are the smallest units of sound. The onset is the initial single phoneme or initial consonant cluster in a word and the rime is the remaining set of phonemes in a word. Rimes are larger than phonemes, but smaller than syllables. in bright, the onset is /br/ and the rime is /ight/. bright contains four phonemes - /b/ /r/ /i/ /t/. Most sequencing of phonemic awareness instruction begins with rhyming words and then moves to helping children learn how to divide (or segment) sentences into words, words into syllables, words into onset and rime, and finally, one-syllable words into phonemes. Not all programs include the same content. For example, some programs introduce onsets and rimes before requiring students to identify and manipulate each of the separable sounds of one- syllable words. Some programs do not include onset and rime activities. In many programs, segmentation is introduced by having children identify and segment the initial sound of a one- syllable word. After practicing with initial sounds, the children then learn to identify and segment final sounds, and finally work with medial sounds. Still other programs have children learn to segment and then blend each individual sound of spoken one-syllable words. Phonemic awareness activities usually involve oral tasks in the absence of print. In some programs, however, the instruction directs the children to use auditory (clapping) and visual cues (Elkonin boxes, blocks) to help them understand that the sounds in words can be separate entities. At the more advanced levels of instruction (segmenting and blending), the relations of sounds to written letters often become part of the instructional sequence, so that the children hear and see the relations between sounds and letters. Segmenting and blending onsets and rimes. Identifying beginning, medial, and ending sounds in spoken words. Segmenting and blending individual sounds (phonemes) in spoken words. Auditory (e.g., clapping), visual (e.g., tiles, chips), or both cues to help children identify separate sounds in words. Activities to teach the relationship of letters to sounds in more advanced tasks (segmenting and blending phonemes). Starts with continuous sounds (for example, m, s, i, f) that are easier to hear and blend. Advises teachers to stretch out and connect (or "sing") the sounds (e.g., "ssssaaaammm," rather than separating them, for example, "S ... a ... m"). Children's early reading development is dependent on their acquisition of the sound-letter relations that underlie written English. Many children with reading disabilities benefit from explicit and systematic teaching of these sound-letter relations; this is typically described as or labeled phonics. Children with reading disabilities benefit from a sequence of phonics instruction that permits them to apply the relations they learn to the reading of words and simple stories (Carnine, Silbert, & Kameenui, 1997; Chard, Simmons, & Kameenui, 1998). Phonics instruction is usually categorized as explicit or implicit. In explicit phonics instruction, the sounds associated with the letters are identified in isolation and then blended together to form words. The teacher directly tells students the sound represented by an individual letter. For example, "The letter l makes the sound /llll/." When children have learned several correspondences, including one or two vowels, they can read words by blending sounds of the letters together. For example, students who have learned the sound-letter correspondences /I / /a/ /m/ and /p/ can utilize a blending strategy to read "lamp." Write man on the board and underline the letter m.
Have the students say man and listen for the beginning sound. Elicit from the students that the letter m makes the sound /m/. In implicit phonics, children are often encouraged to utilize context and picture cues to identify any unfamiliar words they encounter in text selections. Most supplementary programs employ explicit instruction. There is no set rule about how quickly or how slowly to introduce sound-letter relations. Obviously, it is important to gauge the rate of introduction by the performance of the group of children with whom the program is being used. Furthermore, there is no agreed on order in which to introduce sound-letter relations. The advice most often given is to avoid programs that teach all possible sound-letter relations before providing real reading practice. Rather, the sound-letter relations should be selected so that the children can read words as soon as possible. That is, the initial sound-letter relations presented in a program should have high utility. For example, m, a, t, and th are of high utility, whereas gh as in through, ey as in they, and a as in want are of less high utility. It should be noted that programs that present all of the consonants before any of the vowels are taught do not allow children to read words, even after they have learned several sound-letter relations. An effective program may start with two or more single consonants and one or two short vowels. The children can read words that are spelled with these letters. Then, more single consonants and more short vowels are added, along with perhaps a long vowel. As each new sound-letter relation is introduced, the children read words spelled with those letters. For example, if the relationships for a, f, n, s, and t, are presented first, the children can work with the words fan, an, at, ant, fast, and fat among others. Then if the relations for m, th, c, and i are added, the children can work with such words as if, cat, sat, man, and that. The children can create sentences such as, "A fast ant sat on a fat cat." Consonant blends or clusters (e.g., br, tr) may be added; digraphs (e.g., th, sh, ch) are often introduced to permit children to read words such as this, she, and chair. Stop sounds at the beginning or middle of words may be harder for children to blend than are continuous sounds. Consonant blends or clusters may be harder for some children to learn than single consonants. For some children, being presented with consonant blends or clusters and individual sounds in the same lesson can lead to difficulty. The number of possible variations is enormous. The point is that the order of introduction should be logical and consistent with the rate at which the children can learn. Furthermore, the sound-letter relations chosen should permit the children to work with words almost immediately. Common sound-letter relations taught directly and explicitly. Advanced phonemic awareness activities combined with the presentation of sound-letter relations. Opportunities for children to practice sound-letter relations in every lesson. Practice opportunities that include new sound-letter relations as well as cumulative review of previously taught relations. Opportunities early and often for children to apply their expanding knowledge of sound-letter relations to the reading of regularly spelled words that are familiar in meaning. A suggestion that the teacher or students point to the letters as they sound out the words. Recognize that children learn sound-letter relations at different rates. Introduce sound-letter relations at a reasonable pace (e.g., in a range of two to four per week, depending on student performance). Encourage teachers to informally assess children's application of sound-letter relations and to use this information to make instructional decisions. Introduce consonants and vowels in a sequence that permits the children to read words. Choose consonants and vowels that can be combined to make words for the children to read. Teach a number of high-utility sound-letter relations first and add lower utility relations later. Introduce consonant blends or clusters in separate lessons. Provide blending instruction with words that contain the sound-letter relations that the children are learning. Effective word-recognition strategies permit children to quickly and automatically translate the letters or spelling patterns of written words into speech sounds so that they can identify words and gain rapid access to their meanings (Vandervelden & Siegel, 1997). Children must learn to identify words quickly and effortlessly so that they can focus on the meaning of what they are reading (Stanovich, 1986). As children learn to read more and more complex stories, effective word-identification strategies will permit them to figure out the pronunciations of words they have never seen before in print. Students' semantic and syntactic knowledge, in turn, can help to confirm the accuracy of their attempts at word identification. It is important that children learn to use their sound and spelling knowledge as a primary strategy for word recognition (Bay Area Reading Task Force, 1997; Beck, 1998). Children should also have opportunities to work with larger units (e.g., word families, spelling patterns, and onsets and rimes). More advanced word- identification strategies focus on structural analysis - the identification of root words, prefixes, and suffixes - and on how to read multisyllabic words.Children need to recognize some common words before they have the sound-letter knowledge to sound them out (e.g., the, this). Additionally, some words are "irregular," meaning they are difficult to read using a sounding out strategy. The program should introduce some irregular and other sight words in a reasonable sequence. These words should be continuously reviewed in the lessons and in the written materials the children read. Presenting some words as sight words should not overshadow the importance of teaching children to learn how to use word-identification strategies to figure out words. Opportunities to practice word recognition, including words with newly introduced sound-letter relations or word parts mixed with previously learned words. Opportunities for children to learn to use word order (syntax) and word meaning (semantics) to confirm the words identified through word-recognition strategies (Adams, 1998). A limited set of sight words (some of which are regularly spelled) in the beginning stages of reading instruction. Phonetically irregular words in a reasonable order and review the words cumulatively. Phonetically irregular words in the written materials the students read. Opportunities for children not only to decode words but also to access the words' meanings. Strategies for identifying words with more than one syllable. Children with reading disabilities must have opportunities to write and relate their writing to spelling and reading. Initially, children's phonetic approximations of words or invented spellings should be encouraged to stimulate writing (Ehri, 1998; Snow et al., 1998). As children learn to read and write words, they become aware of how these words are spelled. Increasing children's awareness of spelling patterns hastens their progress in both reading and writing. In the first grade, spelling instruction can be coordinated with the program of reading instruction. 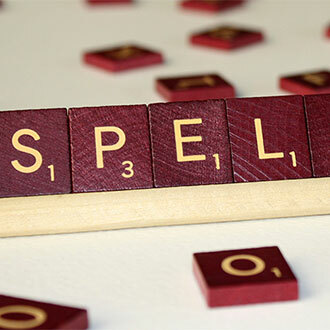 As children progress, well-organized, systematic lessons in spelling are critical. Spelling activities that are related to the words that children are reading and writing. Guides to move children from their own temporary spellings to more standard spellings. Spelling instruction with explicit instruction in sound-letter relations and word-identification strategies. Lessons that help children attend to spelling patterns. Purpose-filled writing activities that permit children to respond to what is read to them and to what they read, express themselves creatively, and communicate with others. The elephant sat on the mats. The elephant sat and sat. Pat said, "Elephant, pat the pets." The pets said, "No, thank you, Elephant." Two cats play with yarn. Two cats play all day. Many children benefit from practice with stories that contain a high proportion of decodable or familiar words. For some children, this sort of systematic approach is critical. Stories should "fit" the child's reading level. As children with reading disabilities become more proficient, a wider range of books become readable to them. The decodability or predictability of the books is no longer a constraint. There is little research that directly address the level of decodability of texts that best facilitates children's reading fluency. Different sources have recommended different levels of decodability. For example, Anderson et al. (1985) and Juel (1994) both recommended approximately 90% of the words in a story should be decodable. As children learn to read words, sentences, and stories fluently, accurately, and automatically, they no longer have to struggle to identify words and are free to pay closer attention to word meanings. Stories that have a significant proportion of decodable words. A sequence of stories, such that the sound-letter relations the children have learned are cumulatively reviewed in the words of the stories. Words in the stories that are in the children's spoken vocabularies. To become fluent and accurate readers, children with reading disabilities must read texts that are appropriate to their current level of reading ability. This can be ac complished by engaging students in activities in which they read and reread stories and informational texts (Samuels, 1979). Periodically, timing children's reading is also effective in increasing accuracy and fluency (Hasbrouck & Tindal, 1992). Opportunities to read and reread familiar stories by using partner reading and peer tutoring. Practice in reading new or difficult words, prior to reading texts. Opportunities for occasional timing of students' reading with strategies to record their progress in their accuracy and rate of reading. 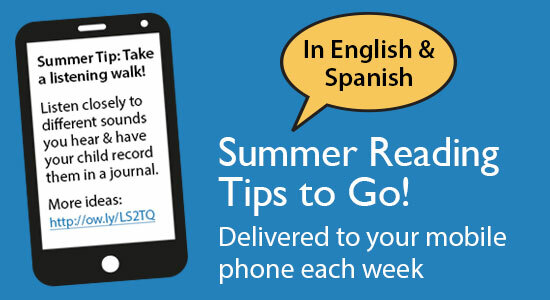 Opportunities to hear texts read appropriately by adults, tapes, and peers. Ideas for developing a home-school connection that supports children's reading and rereading of texts to parents, grandparents, and siblings. Oral language development: Children must have opportunities to expand their use and appreciation of oral language. Print awareness: Children must have opportunities to expand their use and appreciation of printed language. Reading aloud: Children must have opportunities to hear good stories and informational books read aloud daily. Independent reading: Children must have opportunities to read daily from a broad range of print materials. Each of these elements of beginning reading programs is discussed in this section. A weak foundation in oral language may impede children's progress in reading (Snow et al., 1998). To comprehend written language, children must have some familiarity with the vocabulary and sentence structures they encounter in their stories and school texts. 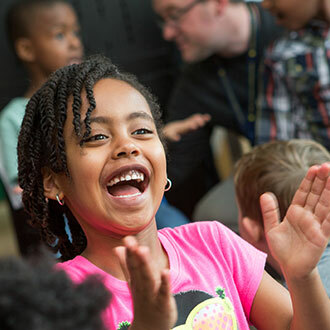 Constructive oral language experiences in the classroom are important for all children, but they are especially so for children with reading disabilities and for those who have had fewer opportunities to develop the kind of language needed for reading. For these reasons, kindergarten instruction needs to capitalize on every opportunity to engage children in thoughtful discussions, explanations, and demonstrations. Listening is another aspect of oral language development. Children need to listen carefully to follow directions. Listening comprehension is an important contributor to reading comprehension (Menyuk, 1988). Consequently, kindergarten instruction should provide opportunities for children to listen as well as to speak. These opportunities can come in giving and following directions, class discussions, storybook reading, and games. Children's comprehension of written language depends in large part on their effective use and understanding of oral language (Snow et al., 1998). Language experiences are a central component of good reading instruction. Children learn a great deal about the world, about themselves, and about each other from spoken language. Discussions that focus on a variety of topics, including problem solving. Activities that help children understand the world, in and out of the classroom. Songs, chants, and poems that are fun to sing and say. Concept development and vocabulary-building lessons. Games and other activities that involve talking, listening, and, in particular, following directions. Children's appreciation and understanding of the purposes and functions of written language are essential to their motivation for learning to read (Lyon, 1998). Children with reading disabilities must become aware that printed language is all around them on signs, billboards, and labels, and in books, magazines, and newspapers, and that print serves many different purposes (Gunn, Simmons, & Kameenui, 1998; Sulzby & Teale, 1991). These experiences and what the adults around them say about the print can help children learn how print functions. When children are read to regularly and when they play with letters and word games, they begin to learn how the system of print works. Specifically, they begin to understand that we read print from left to right, that we read from the top of the page to the bottom, that capital letters begin sentences, that periods end sentences, and more. Awareness of these concepts of print provides the backdrop against which reading and writing are acquired. Activities that help children to understand that print represents spoken language. 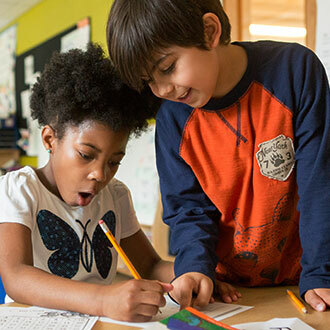 Activities that highlight the meanings, uses, and production of print found in classroom signs, labels, notes, posters, calendars, and directions. Activities that teach print conventions, such as directionality. Activities in which children practice how to handle a book - how to turn pages, how to find the tops and bottoms of pages, and how to tell the front and back covers. Lessons in word awareness that help children become conscious of individual words (e.g., their boundaries, their appearance, and their length). Activities in which children practice with predictable and patterned language stories. Good stories and informational books should be read aloud daily. What should be read? Obviously, read-aloud books must interest children, hold their attention, and expand their imagination. At the same time, children should hear books that stretch their knowledge of the world, expand their vocabulary, and provide them experiences with a variety of sentence patterns. The best read-aloud books are not the books with simple vocabulary and sentence structures that are written for children to read on their own, but rather books that are characterized by less common vocabulary, more complex sentences, and concepts that stretch children's knowledge of the world. A program of reading aloud should include a variety of genres-narratives, nursery rhymes and other poems, and informational books. Good story reading includes good discussions about the story. Such discussions help clarify the author's intent and the relation of the story to the children. Although everyone agrees that children love good stories and develop favorites that they want to hear again and again, their interest in acquiring information about the world around them should not be neglected. For example, informational books about animals, trees, planets, stars, and how machines work will introduce children to a lot of fascinating knowledge about the world in which they live. What is the best way to organize for reading aloud? There are lots of ways and various times during the school day to read books to children (i.e., books can be read to the entire class or to groups of children, and volunteers can read to individual children or small groups of children). With very young children who have not had a lot of story reading experiences, start with very short periods of story reading; gradually make the story period longer, 15 min or more. Make sure that the children are paying attention. Make sure all of the children can hear what is being read. Make sure all of the children can see the pictures that are shown. Make the delivery interesting - dramatize exciting parts of stories, change your voice when speaking the lines of different characters (i.e., act surprised, exaggerate, laugh, be sad). Read interactively; that is, engage the children in the story by having them respond to questions, repeat phrases, and predict what is going to happen next. Discuss the story with the children after reading it; have children retell parts of the story. Do not hesitate to reread favorite stories, but remember to keep adding stories that will extend the children's vocabulary and their knowledge of the world. When reading books aloud, do not hesitate to change the wording in a sentence or phrase that children may not understand to a phrase or sentence they will understand. Then return to the book and read the phrase or sentence that was in the book. Explain and sometimes act out the meanings of important words in the story that children may not know. Point to the details of illustrations that will help children understand the meanings of complex sentences and new words. Talk about the story at other times of the day; try to find everyday situations in which some of the words and phrases from the story can be used. Do not forget to read informational books as well as stories. Children must be provided with opportunities to read widely. In addition to contributing to reading fluency, wide reading improves vocabulary through experience with a variety of language experiences. Wide reading allows children to advance their reading repertoire by exploring many different kinds of genres. Providing children with a great many books, both narrative and informational, is a primary objective. Sometimes children will want to pick their own books. At other times, children will want teacher- or peer-recommended books to read. 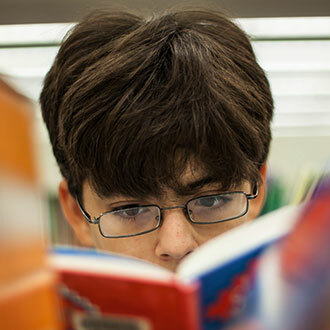 Classroom and campus libraries must offer children a variety of reading materials: some that are easy to read and others that are more challenging. Additionally, many children need access to books that can travel home for reading with family members. Daily time for self-selected and teacher- recommended reading. Access to books children want to read in their classrooms and school libraries. Access to books that can be taken home to be read independently or to family members. 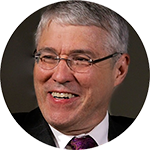 Recent reauthorization of the Individuals with Disabilities Education Act (1997) has placed greater emphasis on the inclusion of children with LD in the general education curriculum. This emphasis on curricular inclusion demands that the methods and materials used for instruction be accessible to a full range of students. To date, analyses of commercially published reading programs present in the literature have revealed that the design of materials is typically based on instructional principles that make them inaccessible to children with LD (e.g., Smith et al., in press; Stein et al., 1998). It is not realistic to expect that school districts will undertake time-consuming and labor-intensive analyses before purchasing commercially published reading programs. However, the quality of programs used to teach beginning reading to children with and without reading disabilities is critical. Hopefully, these guidelines will assist educators in selecting and implementing reading programs that enable all children to be successful in learning to read. Adams, M. J. (1998). The three-cuing system. In F. Lehr & J. Osborn (Eds. ), Literacy for all: Issues in teaching and learning (pp. 73-99). New York: Guilford. Anderson, R. C., Hiebert, E. H., Scott, J. A., & Wilkinson, 1. A. G. (1985). Becoming a nation of readers: The report of the Commission on Reading. Washington, DC: National Institute of Education. Bay Area Reading Task Force. (1997). A reading -writing -language source book for the primary grades. San Francisco: University School Support for Education Reform. Carnine, D., Silbert, J., & Kameenui, E. J. (1997). Direct instruction reading (3rd ed.). Columbus, OH: Merrill. Chard, D. J., Simmons, D. C., & Kameenui, E. J. (1998). The primary role of word recognition in the reading process: Curricular and instructional implications. In D. C. Simmons & E. J. Kameenui (Eds. ), What reading research tells us about children with diverse learning needs: The bases and the basics (pp. 169-181). Mahwah, NJ: Lawrence Erlbaum Associates, Inc.
Ehri, L. C. (1998). Research on learning to read and spell: A personal-historical perspective. Scientific Studies of Reading, 2, 97-114. Ehri, L. C., & McCormick, S. (1998). Phases of word learning: Implications for instruction with delayed and disabled readers. Reading and Writing Quarterly, 14, 135-163. Gunn, B. K., Simmons, D. C., & Kameenui, E. J. (1998). Emergent literacy: Synthesis of the research. In D. C. Simmons (Ed. ), What reading research tells us about children with diverse learning needs: The bases and basics (pp. 19-50). Mahwah, NJ: Lawrence Erlbaum Associates, Inc.
Hasbrouck, J. E., & Tindal, G. (1992). Curriculum-based oral reading fluency norms for students in grades 2 through 5. Teaching Exceptional Children, 24(3), 41-44. Individuals With Disabilities Education Act of 1997, 20 U.S.C. §1401 et seq. Juel, C. (1994). Learning to read and write in one elementary school. New York: Springer-Verlag. Liberman, I. Y., & Shankweiler, D. (1985). Phonology and the problems of learning to read and write. Remedial and Special Education, 6(6), 8-17. -Liberman, I. Y ., Shankweiler, D., & Liberman, A. M. (199 1). The alphabetic principle and learning to read. In D. Shankweiler & I. Y. Liberman (Eds. ), Phonology and reading disabilities: Solving the reading puzzle (pp. 1-33). Ann Arbor: University of Michigan Press. Lyon, R. (1998, April). Overview of reading and literacy initiatives. Paper presented at the meeting of the Committee on Labor and Human Resources, Washington, DC. Menyuk, P. (1988). Language development: Knowledge and use. Boston: Scott, Foresman. O'Connor, R. E., Notari-Syverson, A., & Vadasy, P. F. (1996). Ladders to literacy: The effects of teacher-led phonological activities for kindergarten children with and without disabilities. Exceptional Children, 63(l), 117-130. Perfetti, C. A., & Zhang, S. (1995). The universal word identification reflex. In D. L. Medin (Ed. ), The psychology of learning and motivation (Vol. 33, pp. 159-189). San Diego: Academic. Samuels, J. (1979). The method of repeated readings. The Reading Teacher, 32, 403-408. Smith, S. B., Simmons, D. C., Gleason, M. M., Kame'enui, E. J., Baker, S. K., Sprick, M., Gunn, B., Thomas, C. L., Chard, D. J., Plasencia- Peinado, J., & Peinado, R. (in press). An analysis of phonological awareness instruction in four kindergarten basal reading programs. Reading & Writing Quarterly. Smith, S. B., Simmons, D. C., & Kameenui, E. J. (1998). Phonological awareness: Synthesis of the research. In D. C. Simmons (Ed. ), What reading research tells us about children with diverse learning needs: The bases and basics (pp. cvcv). Mahwah, NJ: Lawrence Erlbaum Associates, Inc. Snow, C., Bums, M., & Griffin, P. (1998). Preventing reading difficulties in young children. Washington, DC: National Academy Press. Stein, M., Johnson, B., & Gutlohn, L. (1998). Analyzing beginning reading programs: The relationship between decoding instruction and text. Manuscript submitted for publication. Sulzby, E., & Teale, W. H. (199 1). Emergent literacy. In R. Barr, M. L. Kamil, P. Mosenthal, & P. D. Pearson (Eds. ), Handbook of Reading and Research (Vol. 2, pp. 727-757). New York: Longman. Vandervelden, M., & Siegel, L. S. (1997). Phonological recoding and phoneme awareness in early literacy: A developmental approach. Reading Research Quarterly, 30, 854-875. Learning Disabilities Research & Practice A Publication of the Division for Learning Disabilities, Council for Exceptional Children 14(2), 107-117 Copyright 1999, Lawrence Erlbaum Associates, Inc. Very direct to specific concepts for the teaching of the reading process, clear use of the language to convey concept meanings and ideas. The article theme is clearly presented following a a sequential structure! Great article, excellent resource. Very well written. Thank you! Excellent article, well written and very informative. As a teacher, we use Sight Words with Samson to enable to students to know their sight words cold. It's a great product that students and teachers both enjoy using. My idea is to make a letter to word recognition flash card that is pocket size & readily available for use to aid in communicating.